Donald Trump Jr said he loved the Indian media and heaped praise saying it was 'mild and nice' compared to the 'brutal' US media. 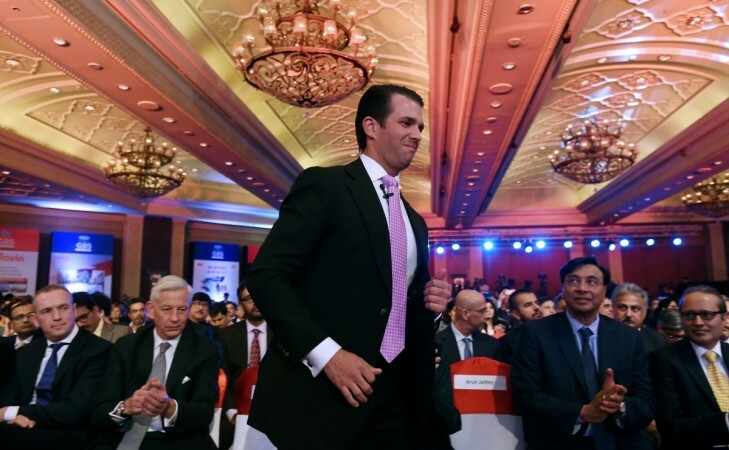 US President's eldest son Donald Trump Jr.'s India visit has made quite some news and he is clearly pleased with it. On Friday, February 23, he praised the Indian media and said he enjoyed the coverage he received. 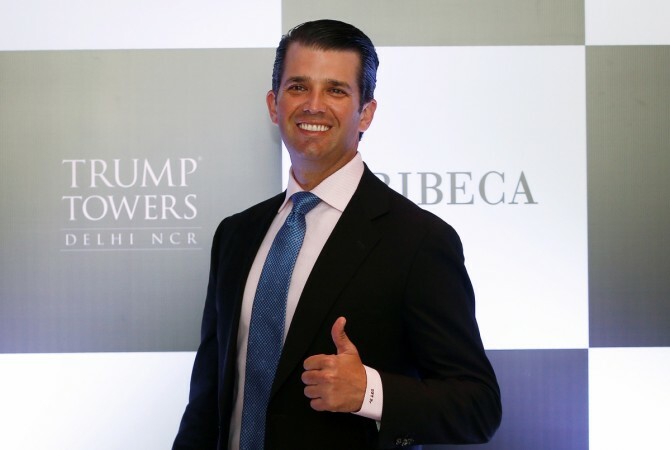 Speaking at the Global Business Summit in New Delhi, Trump Jr. compared the Indian media and the media in the US and said that he loved the press in the Asian nation. "I am the first person in the history of India to say I love the Indian media. They are so mild and nice," IANS quoted him as saying. "They've at least been fair." However, he didn't seem too pleased with the media back home and called them "aggressive and brutal." He also spoke about how the US media has often twisted his statement and misquoted him, referring to the time he said that even the poor people smile in India. "I don't want to be glib but you can see the poorest of the poor and there is still a smile on a face," he had said during an interview with CNBC-TV18. "It wasn't me coming here for first time. It was me coming here (India) after 10 years. So everybody understood what I meant. But the 'Washington Post' the next day said -- 'Donald Trump Jr likes poor people because they smile'," he added at the summit. Trump Jr was supposed to discuss "Reshaping Indo-Pacific Ties: The Era of Cooperation" at the Global Business Summit, but the speech was changed to "A Fireside Chat with Donald Trump Jr." at the last minute. During the event, he refused to talk about politics and said he was visiting as a businessman and would only talk business. "I have come here as a businessman (not a politician)," he explained and even refused to discuss anything on China. The 40-year-old said that the business scenario in India had changed in the last 10 years – his last visit – and said that there was more energy in the economy. He said that the Trump empire has done some very good deals in the past and now looks forward to more fruitful deals in the future. However, he had earlier specified that the Trump real estate firm would not sign deals until Trump Sr was in power. Trump Jr said that the company had lost quite a few deals in India due to his father's "self-imposed" restrictions. He had earlier explained that while the current projects in India would be completed, the company had no plans to launch new projects in the country, for the next five-seven years. With this, it looks like Trump Sr. may run for a second term of presidency. "Few years ago, I said it would become our largest (market) because I really believed in the market... I think it will continue to be the same when I am able to get back in the market and focus on the business side, on new deals again in the future, once my father is out of office," he told CNBC-TV18. Trump Jr., had earlier also batted for PM Modi and said that he may have received flak but his reforms were for the good. "Reforms (during Modi's regime) are corrections in the right direction," Mint quoted Trump Jr.as saying. He also said that India is more investment-friendly and the government keeps its promises, which attracts investors. "It will probably make things difficult for real estate developers to function in many respects, but good, it was time (to implement those changes)", he added.